Jiang Jinfu (Chinese: 蒋劲夫, born 2 September 1991) is a Chinese actor and model. Crystal Yuan was born in Shanghai on January 17, 1992. Actress from Mainland China graduated from the 2010 Department of Performing Arts at the Shanghai Theater Academy. In 2012, he appeared in the corner of "The Autumn Sword Cloud" in the drama version "IpMan". In August 2013, he starred in the TV drama "Half Steps End of the World" directed by Ming Zhang Chen. The actress played Fang Ning. In February 2014, she participated in the contemporary urban emotional drama “The Season of Happiness”. In July 2014, she was concerned about her starring in the online drama "White school flowers and big legs". On April 13, 2015, the legendary modern drama “Legend of the last emperor” starred in Anhui Satellite TV. On April 24th the same year, she participated in the urban emotional inspirational drama "I'm Du LaLa". On August 31st of the same year, he starred in the martial arts drama "Feidaoyoujianfeidao" adapted from Cliff Lok's work. On April 16th, 2016, the city emotional inspirational drama "I'm Du LaLa" premiered. On July 4, 2016, the Republican Youth Legendary Play "Old Nine" premiered. On July 21st, he starred in the ancient legend drama "Yangling Biography of the Ming Dynasty". 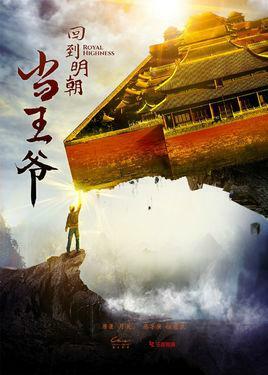 On December 5, the martial arts drama "Feidaoyoujianfeidao" was broadcast. December 16 starring young inspirational idol drama "My Star Flying"
Zixuan Wang Ma LianEr Yang Ling One of the wives and wives, passionate and open-minded. Beautiful youth, very chivalrous. Treat feelings, love and hate, and courage to pursue your own happiness. Different from the ancient women's view of the world, they treat their feelings boldly and dare to act daringly. Zhang Sifan Wu HanChao Hot and cold, the martial arts of the strong men, the girls saw him like it, but he loved his cousin Gao WenXin, later injured by Gao Wenxin, began to be insulated from love. For Yang Ling's words and deeds, Yang Ling's good brother is also Yang Ling's master. Xuan Lu Princess Yongfu / Zhu Xiuling As a royal princess, Qinghe Zhengya, end-Lying. After falling behind Yang Ling from behind the screen, he fell in love with Yang Ling. After resisting the purpose of saving his wife, Yang Ling was even more devout and admired for him. After he failed to recruit horses, he finally confessed to his mother the feeling of Yang Ling. After a bit of hardship, Yang Ling finally became a member of Yang Ling. Haoyu Chen Tang YiXian Since childhood, Yu Tangchun took care of Yuhuayuan, and Yutang's spring sister and sister-in-law entered Yu Yang's house together with Yu Tangchun. He dared to love and dare to hate, cheerful and free and easy, but kind and impulsive. Zhu Houzhao loved him at first sight, but Tang YiXian never knew that he had almost killed the cliff in order to help Zhu Houzhao to be forced by the pursuers. After the loss of memory, he met again with Zhu Houzhao and gradually accepted Zhu Houzhao. Lidan Wang Yu Tang Chun / Su San One of Yang Ling's wives and concubines was originally a florist of Huaihua Hall. His color and craftsmanship are both meticulous and affectionate. After being redeemed by Yang Ling, he settled in Yang Fu. Yang Ling, who loves righteousness, admired it very much. However, when he saw Yang Ling and his wife's love for him, they buried their love in their hearts. Later, she joined sisters as sisters and used beauty to help Yang Ling overcome difficulties. Allison Lin Gao WenXin Yang Ling One of the wives and concubines, originally a daughter of the physician, is highly skilled, full of love, has a plan on his chest and is willing to give everything for his beloved. He was rescued by Yang Ling, who had been sent to the teaching workshop division. He voluntarily stayed in the Yang house as a slave and treated Yang Ling as a chronic illness. Wu HanChao admired him very much, but Gao WenXin secretly fell in love with Yang Ling, hiding his love for him in every treatment, and finally got his wife's treatment. He was second only to the young girl. Yijun Liu Hong ZhiHuangDi The ninth emperor of the Ming dynasty greatly loved his son Zhu Houzhao. He is generous and merciful. He is thrifty, unfaithful, diligent in politics, and paying attention to the judiciary. Yang Ling, who often speaks amazingly and is not brand-named, is also very appreciative. Yijin Dong Wang JingLong As the son of the Minister Wang Qiong, the audience was narrow-minded, seeing that Yang Ling was privileged to take advantage of the imperial elation, and was eventually killed by Yang Ling in the prison.